Located next to the famous Winchester Cathedral, the Christmas Market attracts almost half a million visitors each year who come to skate on the ice rink, eat traditional festive food, and buy gifts from the many British craftspeople who exhibit their unique products. Considered to be one of the best Christmas markets in Europe, it is certainly worth a visit. 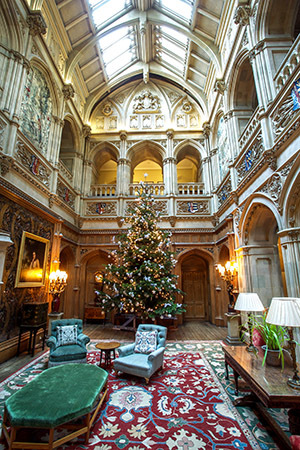 Highclere Castle, known to many as the location for the TV series ‘Downton Abbey’, opens its doors for a just a few special days during the Christmas period. In November, there are two opportunities on the 22nd and 25th to have a guided tour of the castle and to visit the Egyptian Exhibition which celebrates 95 years since the Lord of the castle, the 5th Earl of Carnarvon, discovered the tomb of Tutankhamun in Luxor with Howard Carter. In December, a special two-day Christmas Fair on the 6th and 7th will see the house festively decorated and with Carol singers giving the castle a very seasonal atmosphere. In addition, a number of stalls will be selling special gifts to help with your Christmas shopping! 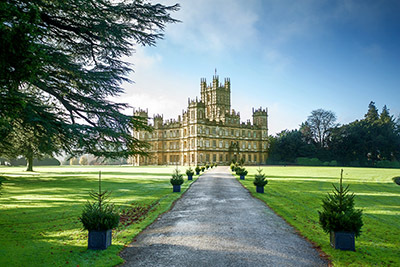 All Highclere events have a limited number of tickets available so early booking is advised.